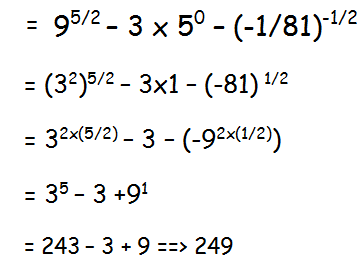 About "Exponents with negative bases worksheet"
In solving exponents with negative base, we may have the following two situations. Negative base will become positive if the power is even. Negative base will become negative if the power is odd. 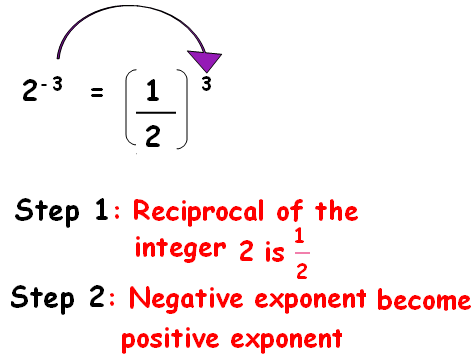 Whenever we have a negative number as exponent and we need to make it as positive, we have to flip the base that is write the reciprocal of the base and change the negative exponent as positive exponent. Let us see some example problems based on the above concepts. Since the power of -7 is even, the answer must have positive sign. 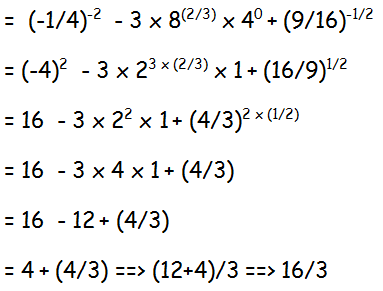 So we can just multiply 7 two times to find the value of (-7)². Since the power of -3 is odd, the answer will have negative sign.So we can just multiply 3 three times to find the value of (-3)³. Since we have odd power for -2 and -1, we will have negative sign for the expansions of (-2)⁵ and (-1)⁸³. Negative times negative is positive, so the final answer will have positive sign. Hence the answer is 32. Since we change the division sign as multiplication. 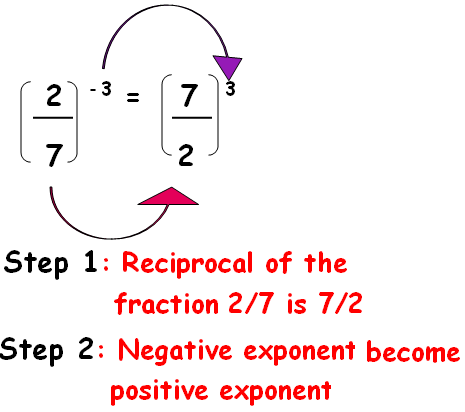 The exponent of the denominator is going to become negative. Since the power is odd the answer will have negative sign. Hence the answer is -1/64. Hence the answer is 29. Hence the answer is -81. After having gone through the stuff given above, we hope that the students would have understood "Exponents with negative bases worksheet".